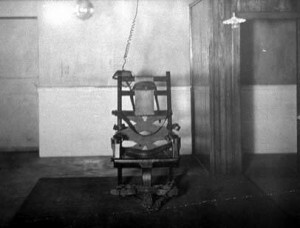 What is the purpose of the death penalty? People often try to contrast sentencing someone with the death penalty with letting them go free and their crime unpunished, as though without the death penalty justice cannot be served. When contrasting the death penalty with the option of life in prison neither seem to be lighter sentences or any more desirable to the accused than the other. The difference is that life in prison allows the person time and opportunity to repent and change their life. It allows Christians to minister to them and God to affect change in their life. Some people may say that someone who commits a crime that deserves the death penalty has chosen to reject God and no longer deserves to hear the Gospel. That is a gross misunderstanding of what the Gospel is. The Gospel is not for those who are ‘good’ or those whose sins are well hidden. The Gospel is for the criminals, the liars, the cheats, the drunkards, the prostitutes, the sinners who realize that no matter what people see on the outside their inner being is tarnished far worse by sin. God did not come for the healthy but for the sick. As a side part of the debate the problem of those wrongly found guilty is a very troubling aspect of this discussion. While some may look at the specific situation in Colorado and argue that their is no question about who is guilty, laws are not put in place for one situation but as a system to be used everywhere. Were the argument over one situation rather than instituting a policy the discussion may be different. But the US government has always had a policy that you are innocent until proven guilty and that you have to be found guilty ‘beyond a shadow of a doubt.’ I would have hoped that with these very high standards, that error on the side of caution would have stopped innocent people from being arrested. But that has been proven repeatedly to not be the case. To declare that those were mistakes made in the past that we would not repeat is arrogant and fails to understand that humans make mistakes even when we really don’t want to.